Hi there and welcome to the latest episode of Emerging Creatively Tutorials TV (ECT TV)! 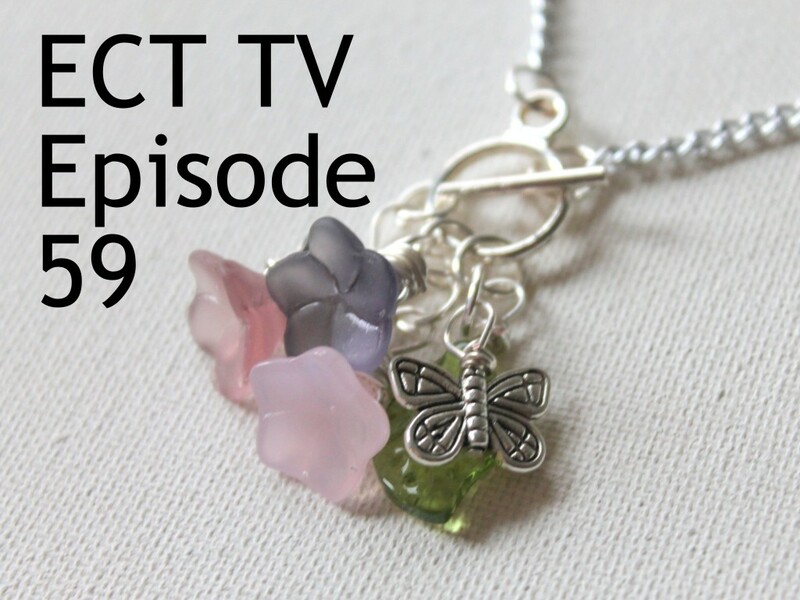 Today’s episode is a fun necklace where the clasp is in the front. How to open and close jump rings. 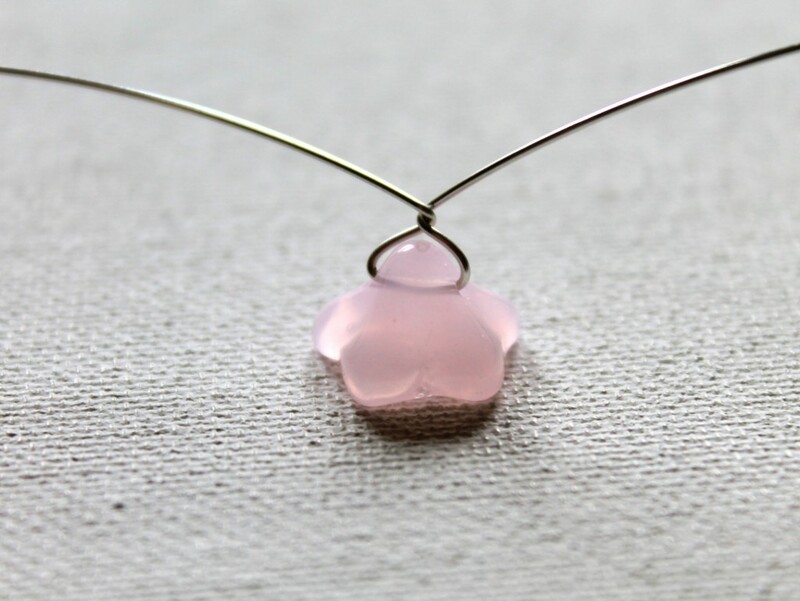 Beads: I’m using side drilled flower beads, which means the beads are drilled across instead of up and down. This requires a different technique which I’ll show you. 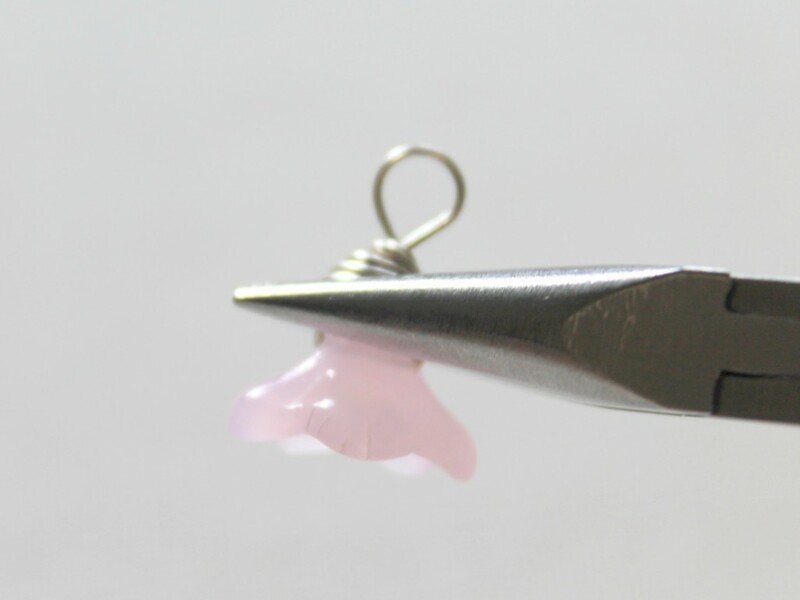 I’m also using a couple of beads that are drilled normally and for those I’ll also use headpins and make them into bead dangles, which I’ll show you how to do. 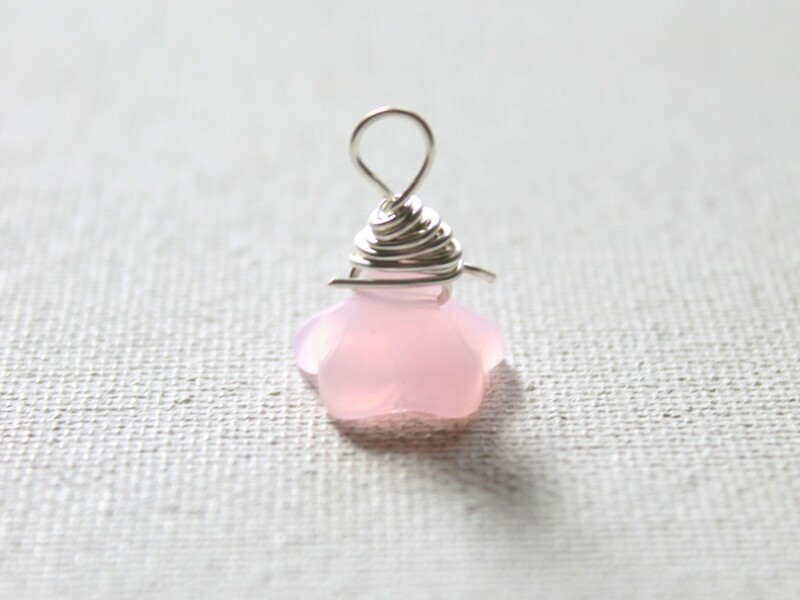 You can also use charms of any kind. Cut a piece of 22 gauge wire approximately 6 inches long. 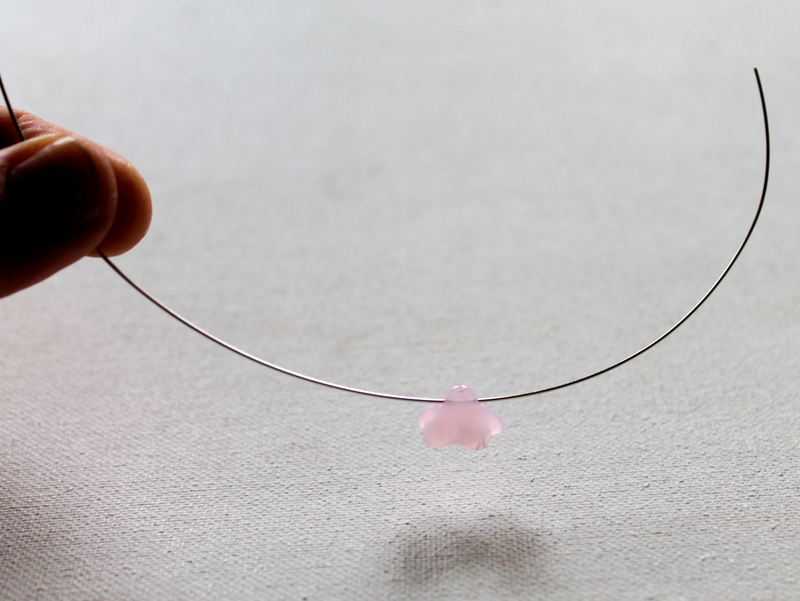 You may need to adjust the length based on how large your bead is. 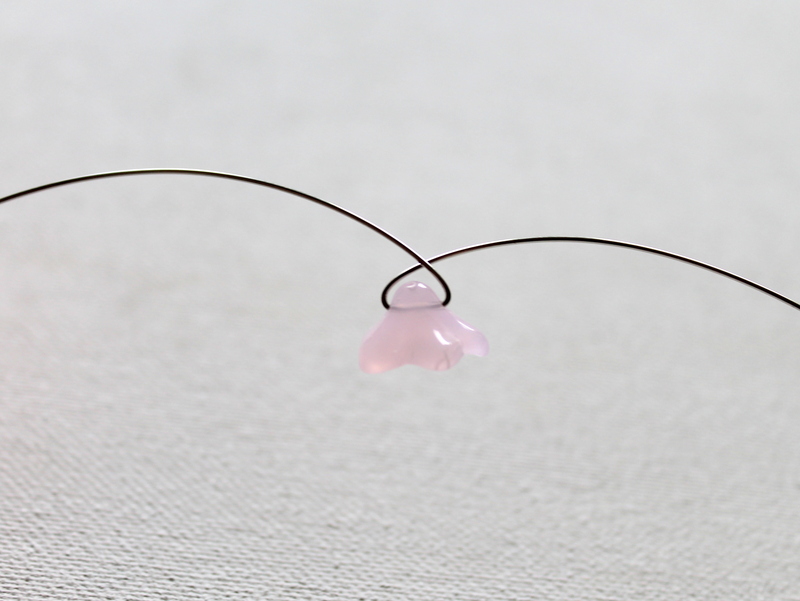 Slide your bead on the wire and center it. Bend the wire and cross it in the middle of the top of the bead. 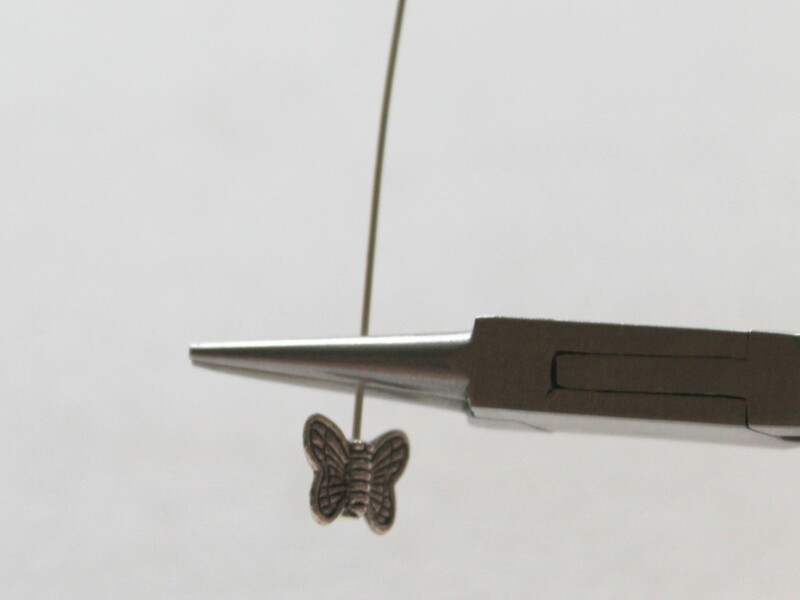 Hold one of the wires with round nose pliers just above the twist. Wrap the wire around the round nose pliers to form a loop. Your loop will probably be off-center, so center it on top of the bead. 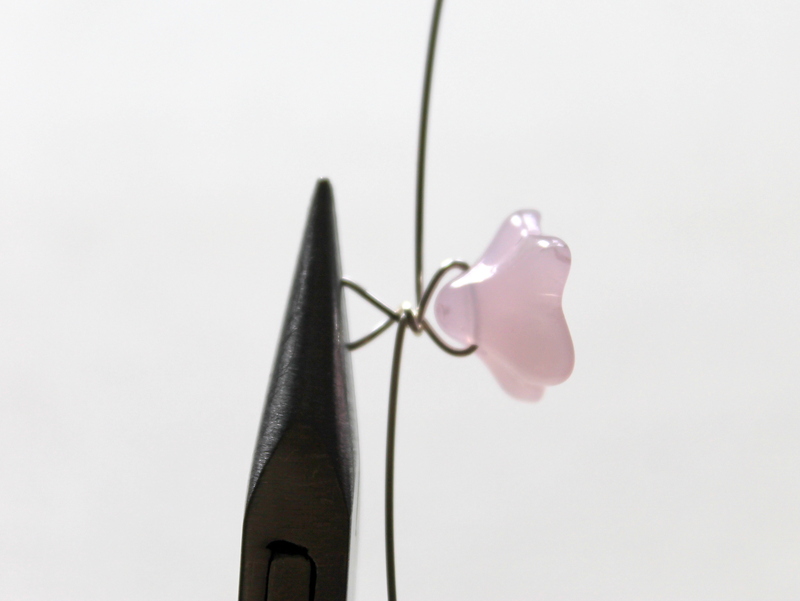 I wrap the wire around and while I do that I pull out the bead straight so that the loop is on top and centered. Continue wrapping the wire around. Wrap one beneath the next. Keep everything close together and straight. 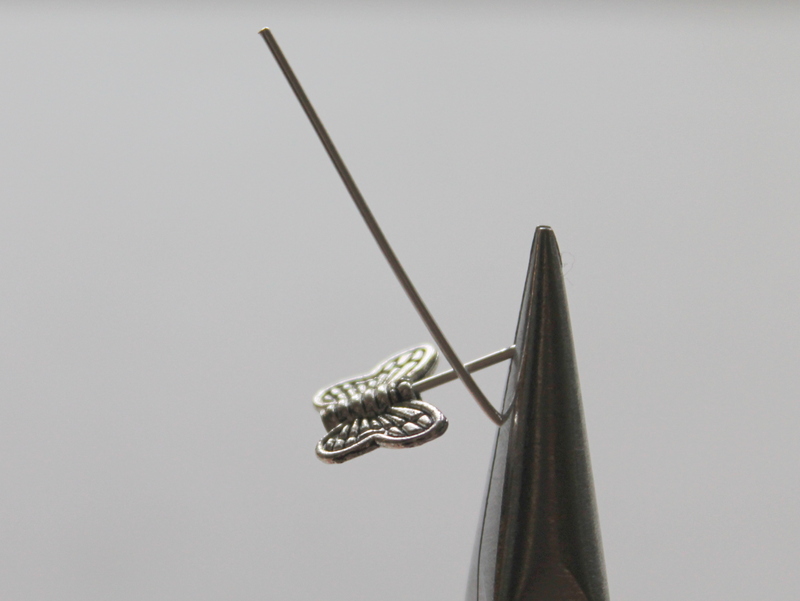 Now repeat with the other wire going over the wraps you just made. 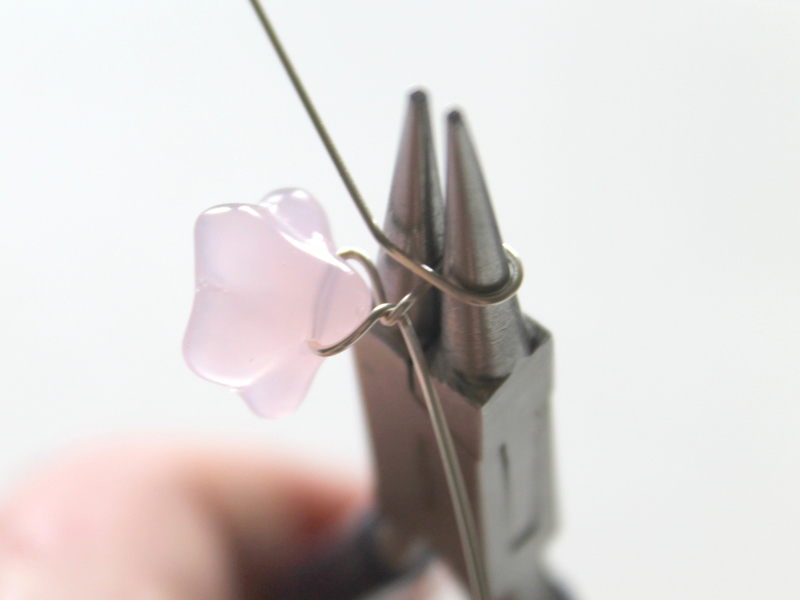 Trim off any excess wire. Use chain nose pliers to make sure the ends are not poking out. Repeat for all your side drilled beads. 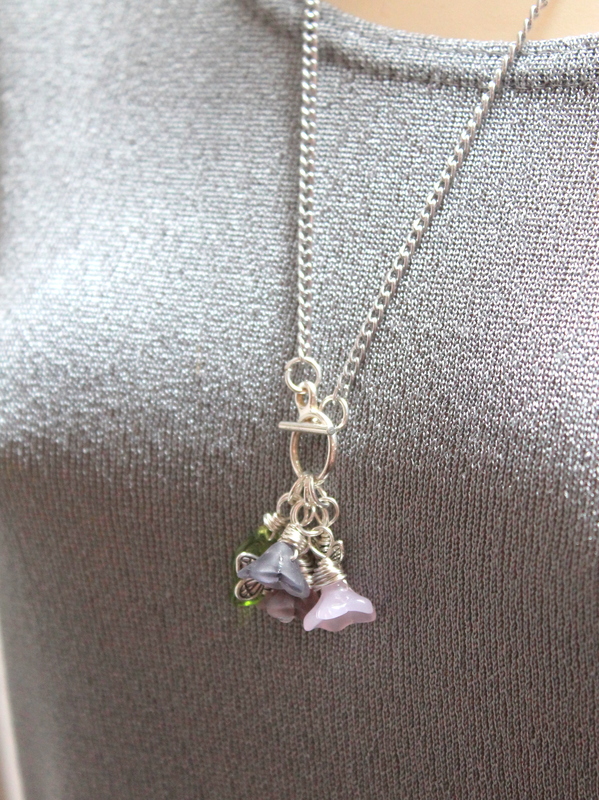 I used 3 side drilled flower beads for this necklace. 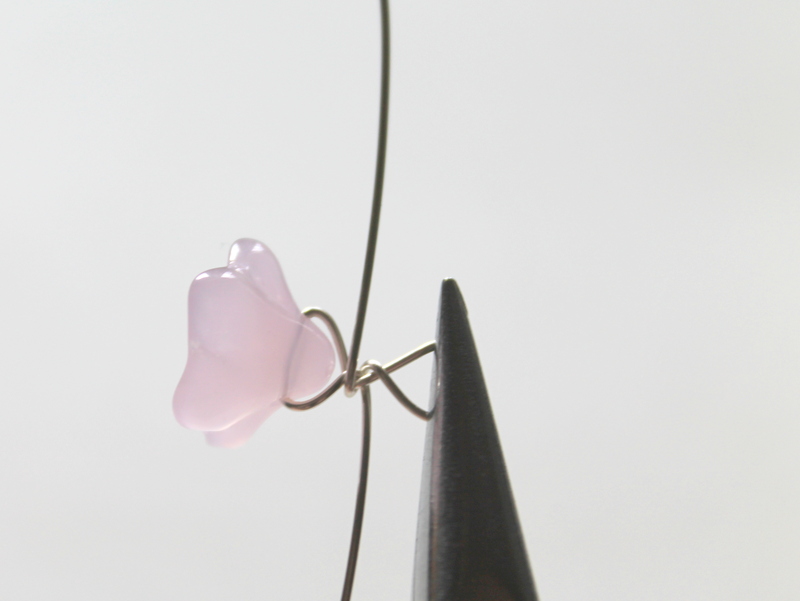 If you have any other beads you’d like to use like the butterfly beads I’m using, make them into bead dangles. Slide your bead onto a headpin. 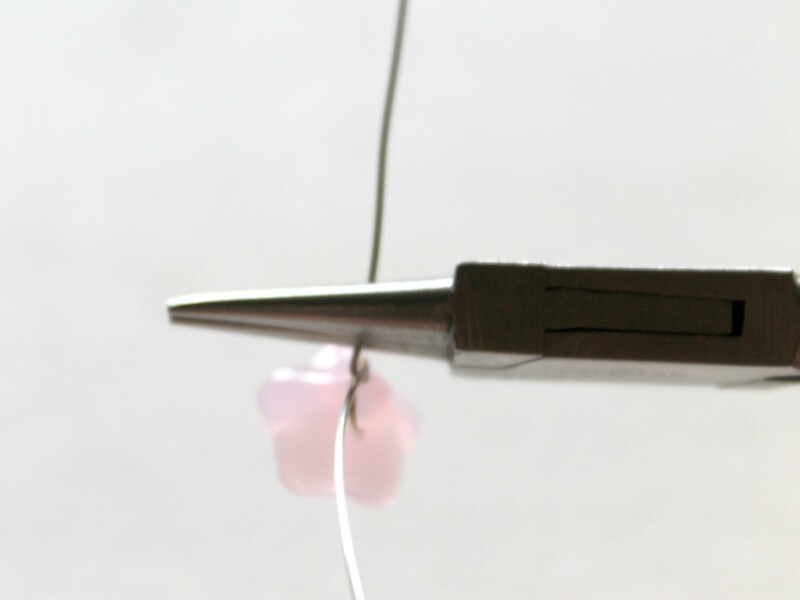 Hold the headpin with round nose pliers just above the bead. 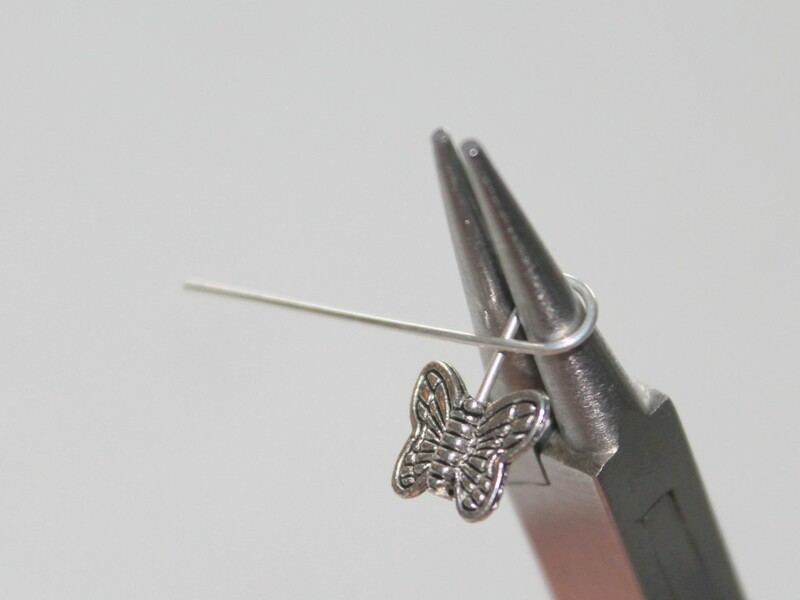 Wrap the headpin around round nose pliers forming a loop. 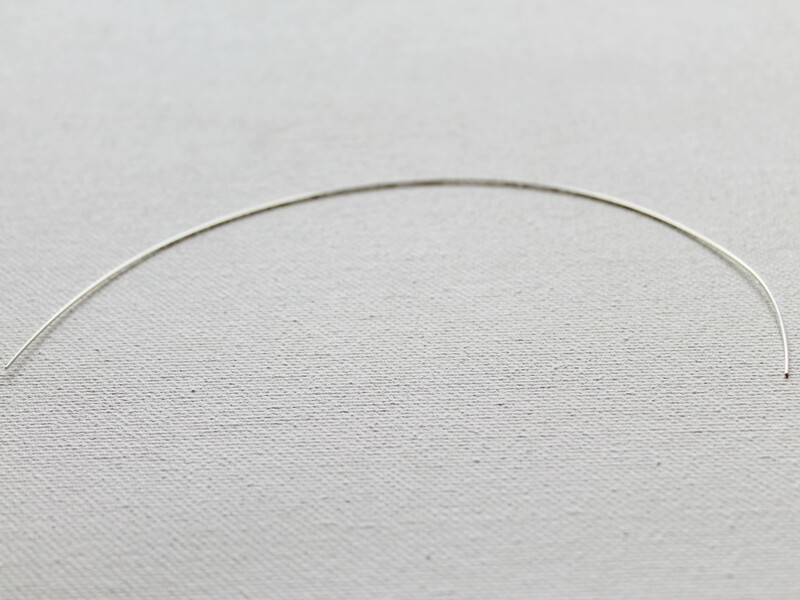 Just like with the side drilled bead, the loop will be off-center, so straighten it. 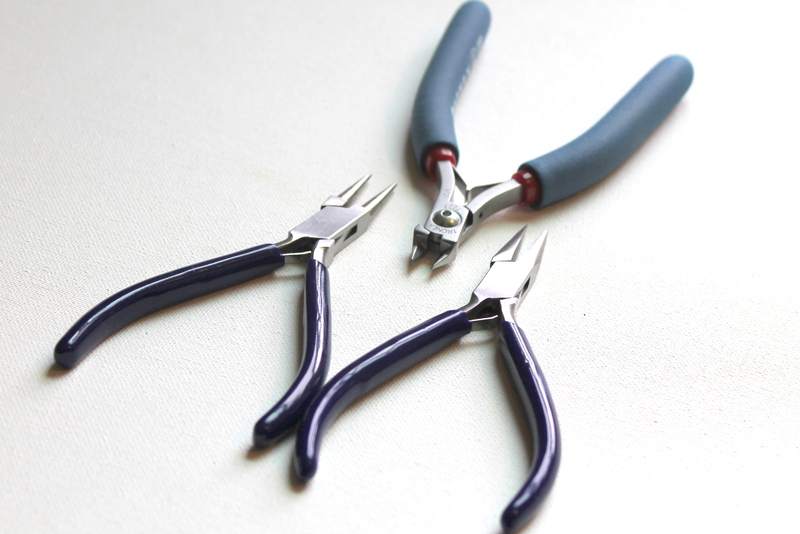 Hold the loop in chain nose pliers. 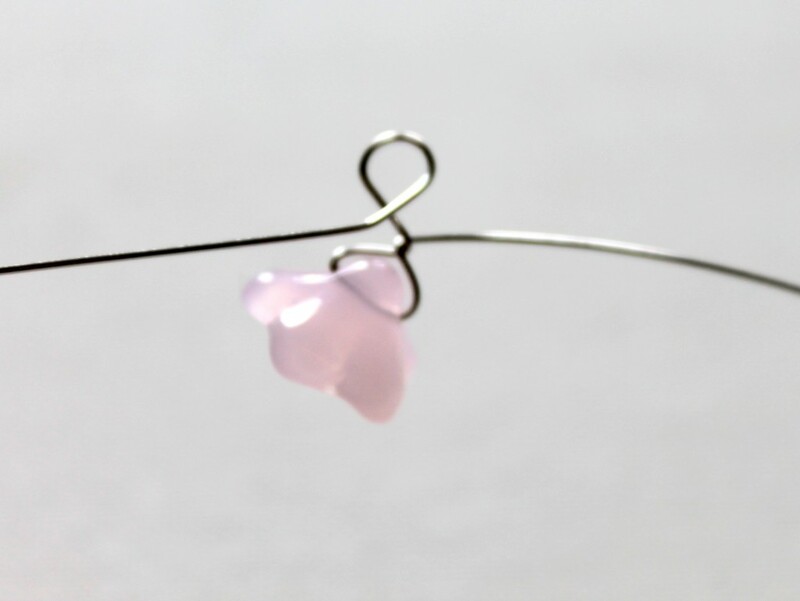 Wrap the wire around and at the same time pull the bead out straight. Wrap around 2 or 3 more times. Trim off any extra wire. 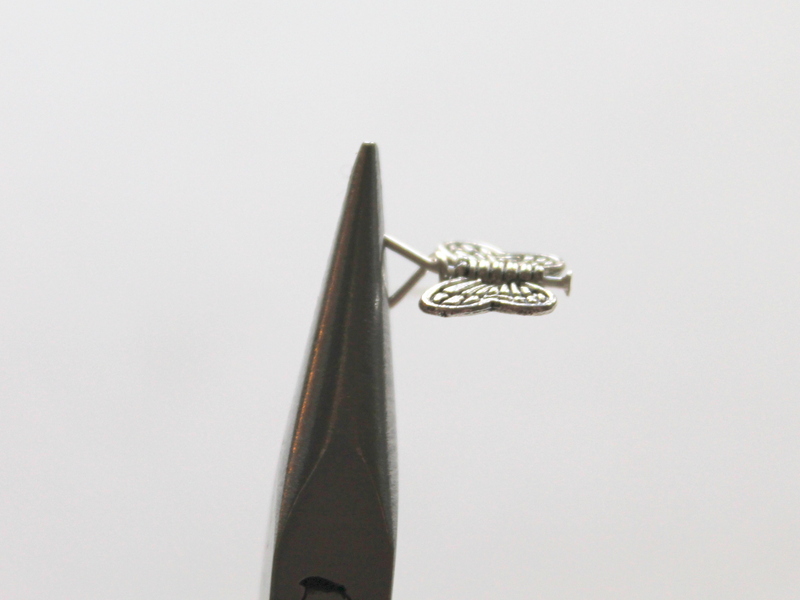 With your chain nose pliers, make sure that the end is not poking out. 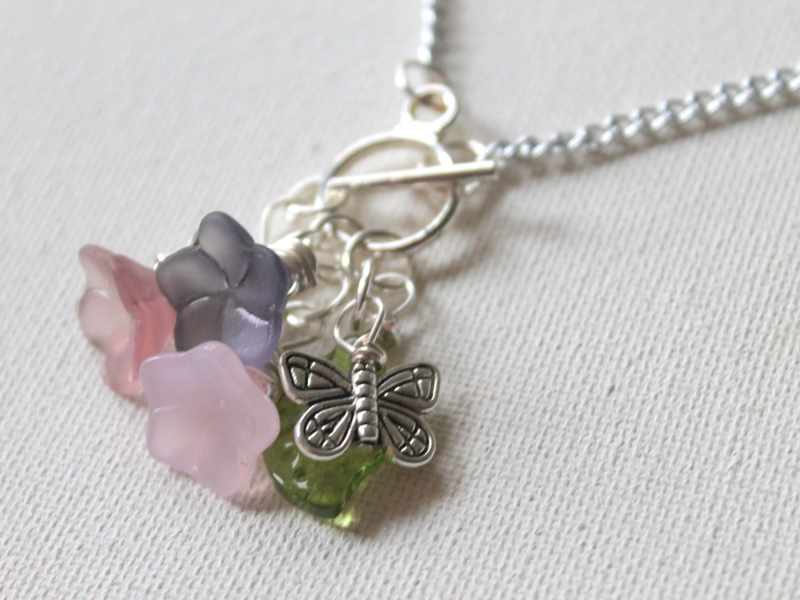 I have 3 flower beads, a leaf and 2 butterfly bead dangles. 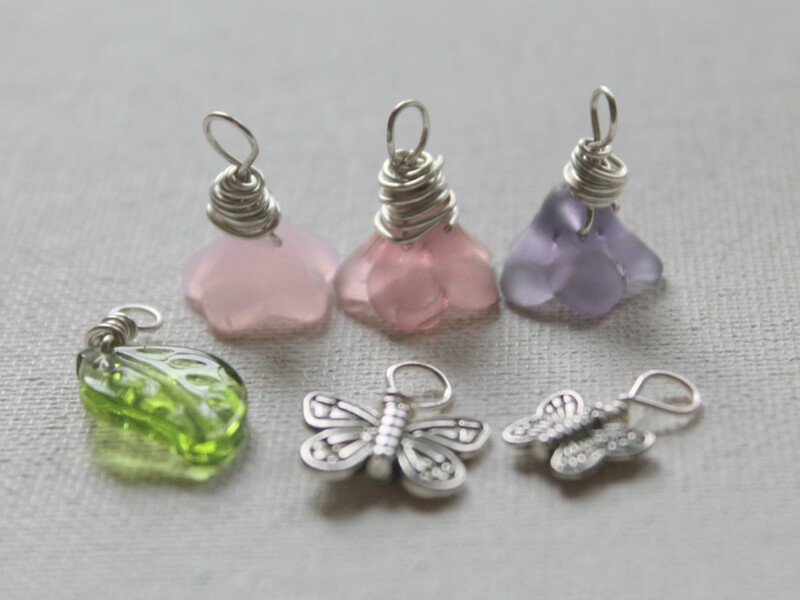 You can use any beads or charms you like. 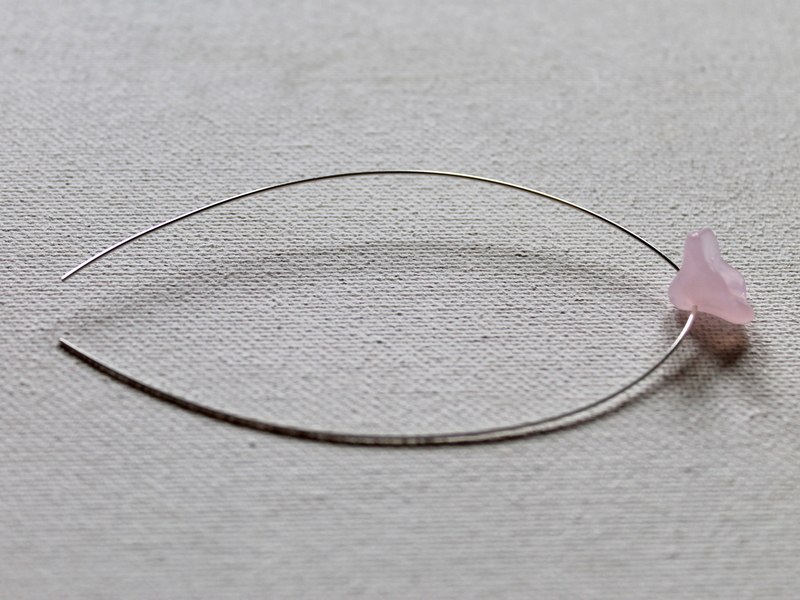 Now we’ll add the beads to the circle part of the toggle clasp with jump rings. 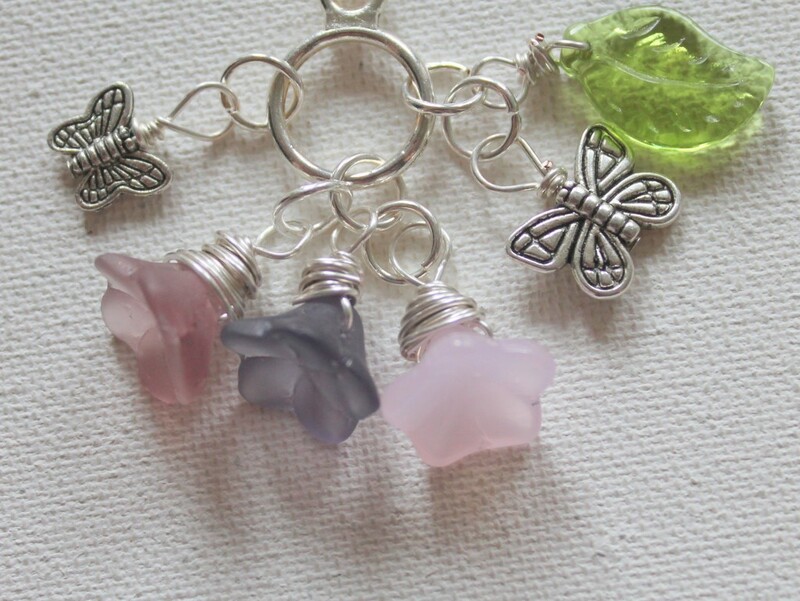 Open one jump ring for each bead dangle plus 2 to attach the clasp to the chain. 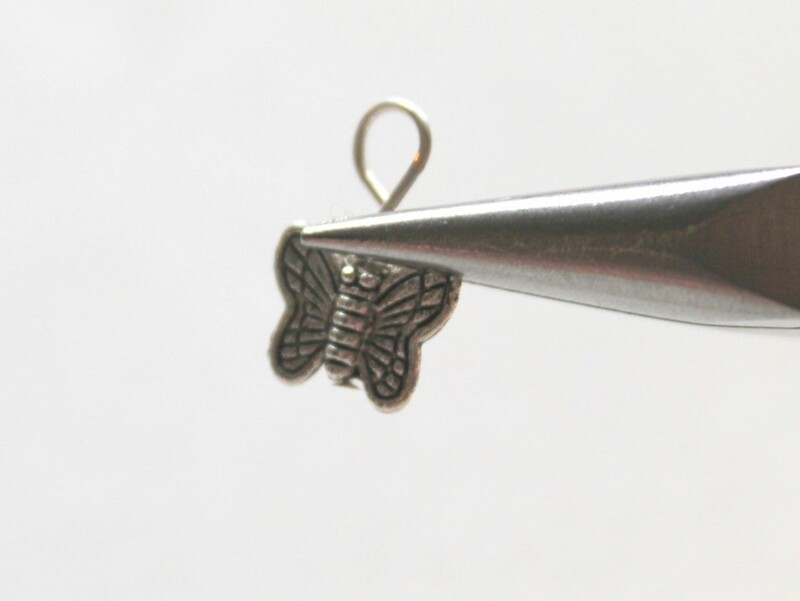 Attach the bead dangles and charms to the circle part of the clasp. 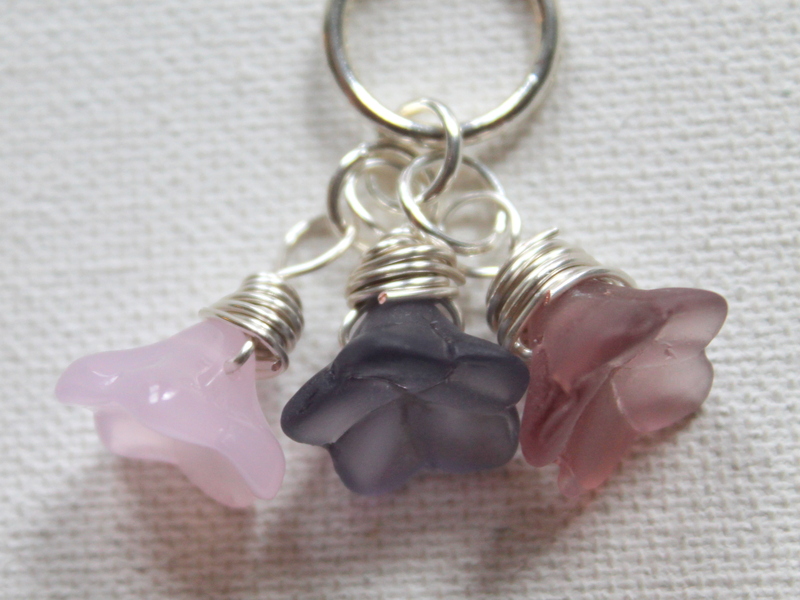 I added one flower bead with a jump ring and then attached the other charms to that jump ring with a jump ring for each bead dangle. 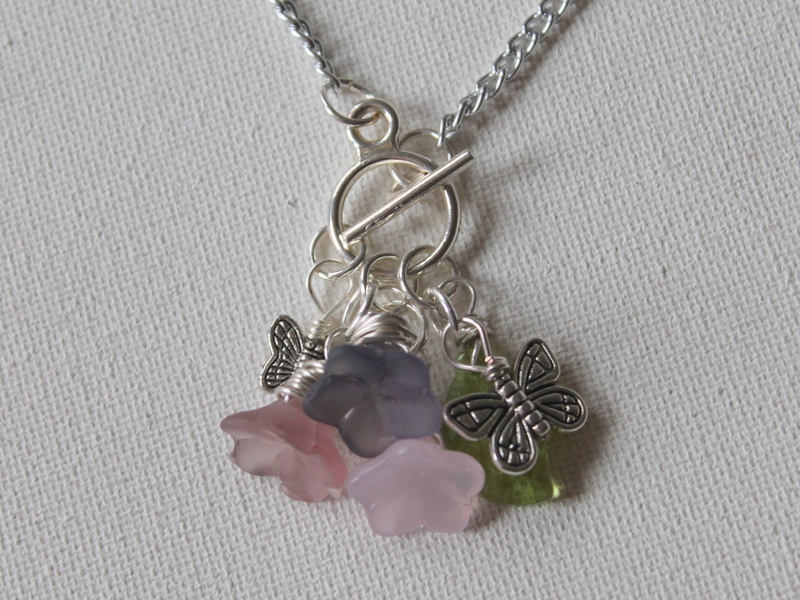 Continue adding bead dangles and charms to the clasp. 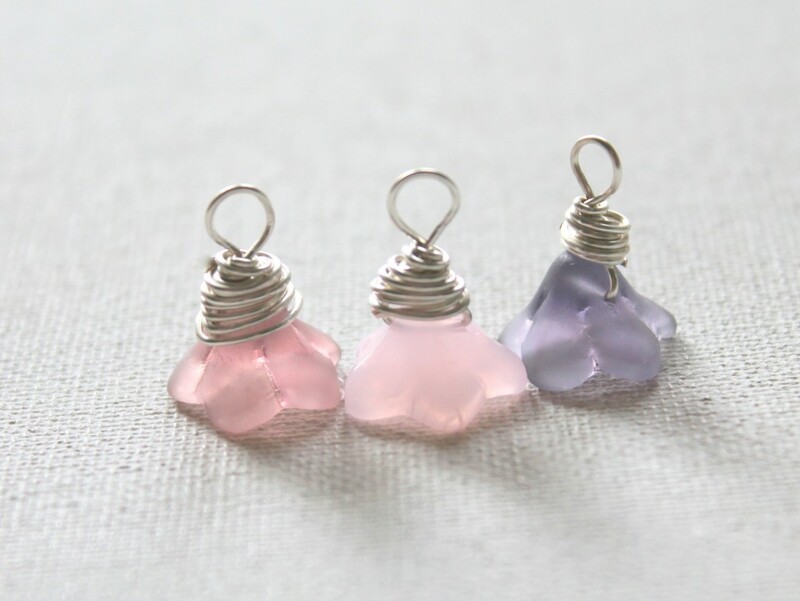 You can decide if you want to double up bead dangles or how you’d like to layer the components. 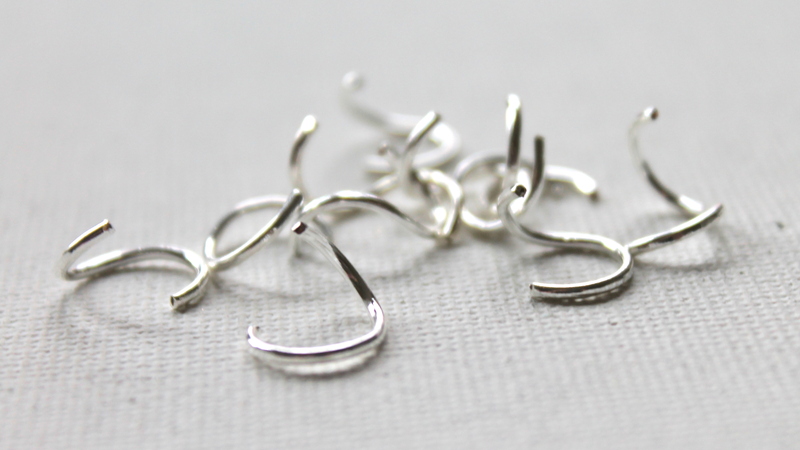 Use jump rings to attach the clasp to each end of the chain. Get new episodes of ECT TV in your inbox with a PDF of the tutorial! Sign up for my newsletter. 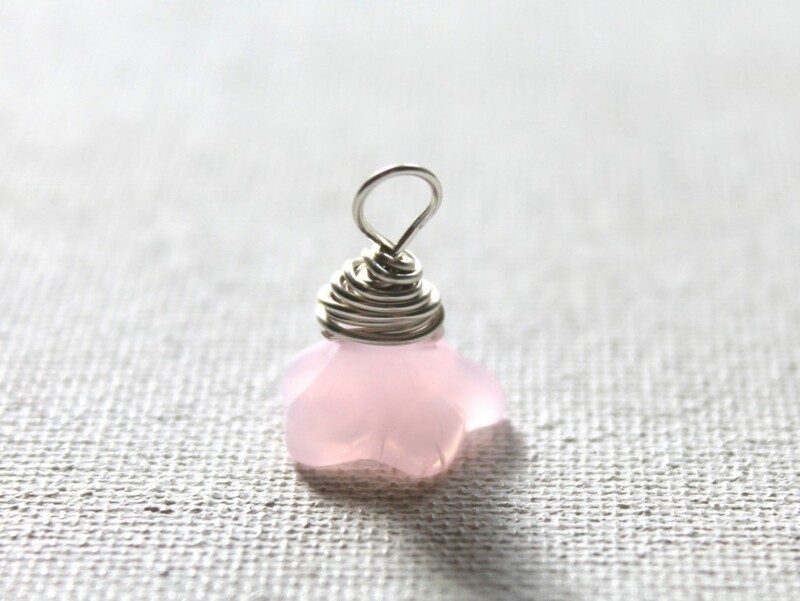 You’ll also get my free 14 day Intro to Jewelry Making eCourse. 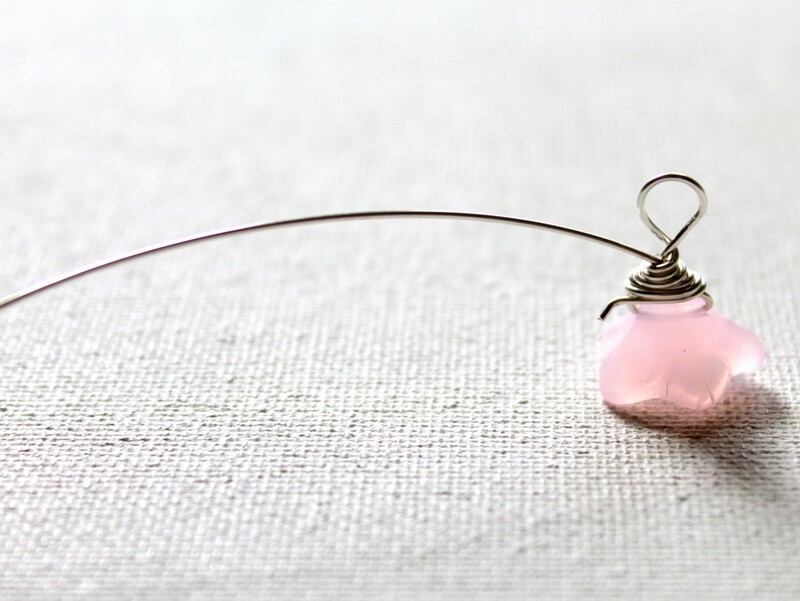 This entry was posted in ECT TV, How to Make Necklaces, Jewelry Tutorials and tagged ECT TV, how to make jewelry, jewelry making, necklace, side drilled bead, wire wrapping by Kimberlie. Bookmark the permalink.